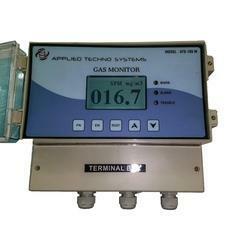 Applied Techno Systems is Inginiuos manufacturer of OCEMS Model ATS 208A which includes Gas ANalyser, Gas Sampling Systems, Tempreture , flow & Opacity dust Monitoring Systems with real time data transmission Systems to CPCB & SPCB. Applied Continuous Emission Montoring CEMS fullfill the environmental regulatory compliance of various industrieal sources of air pollutant. As per latest CPCB guidelines, it is now mandatory to monitor online continuous Stack Emission Monitoring Systems (CSEMS) in 17 categories of highly polluting industries and in Common Hazardous waste and Biomedical waste incinerators for the parameters(industry/sector specific parameter) mentioned in the consent to operate/authorisation not later than by JUNE 30,2015.
we are indigiuous manufacturer of Online OCEMS SOX, NOX Analyser based on elctrecto chemical and NDIR based technology. Online gas monitoring systems OCEMS has provision for remote calibration facility with Zero & Span gas calibration gas mixture. OCEMS has special type of sampling probe with dryer systems to avoid the heat tracig line. we use teflon or SS316 sampling tube for interconnection of sampling probe and sampling systems which is integrated with gas analyser. Online NDIR Based Continuous Emission monitoring systems as per pollution Control board guidlines with real time data connectivity to CPCB & state pollution control board. MEASSURED PARAMETER SO2, NO2, NO, HF, CO , CO2, SOX AND NOX onlone gas analyser with remote calibration facility and sampling handling systems. Model ATS 208A -Manufacture in Mumbai. Process Trend Monitor and Multi -Purpose Dust Alarm with Display A Real time Continuous indicative dust monitor with logging & alarm capability. Low Cost Solution to Monitoring Requirements. 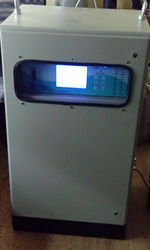 Application: The stack Guard is used in most situations where the actual or potential presence of particulates creates an indicative monitoring requirement & also where higher cost of a quantative monitor is not justified. Filter Failure Alarms., Process Control Monitor, Cogeneration Power Plants, Ferrous &Non Ferrous metal Processing Unit, cement Plants & Silos, Petrochemical, Pharma , Boilers & Incinerators Paper Plants etc.